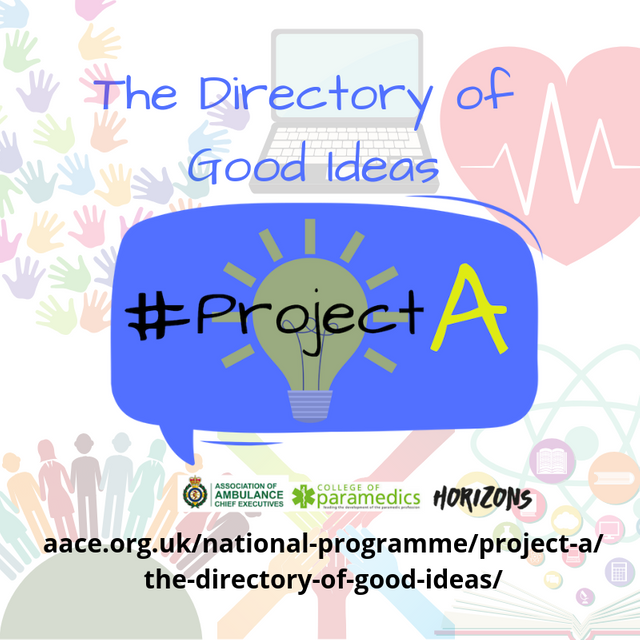 We are delighted to launch the #ProjectA directory of good ideas! More than 600 ideas were submitted via the ideas platform and tweet chats during the summer 2018. Ian's post explains more about the process about how these ideas were tested, and how the six collaboratives were formed. The directory has been created in response to front line staff feedback, and in recognition of the many good ideas that were submitted: to share good ideas between trusts, and for senior leadership to help implement them. You can read more about these themes and the kinds of things that will be included in them through the links above. 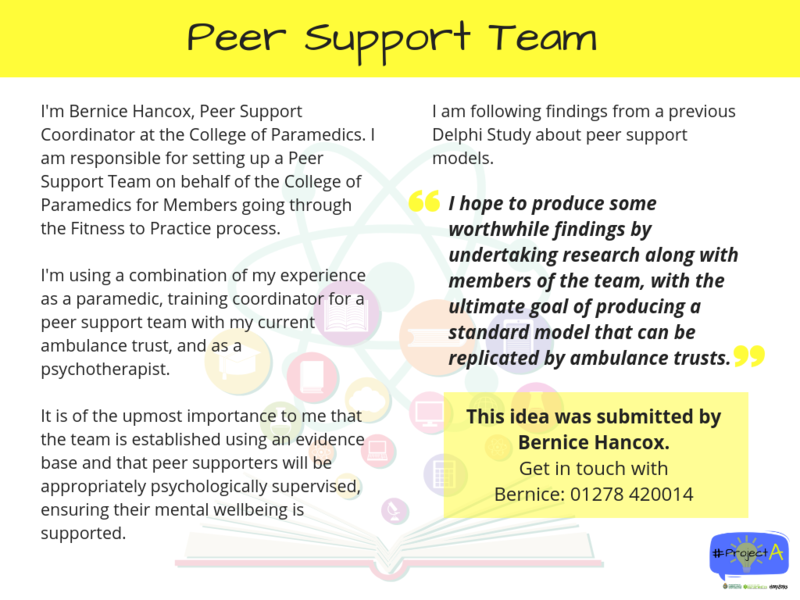 A number of ambulance staff have written about a good idea that's already in practice in their trust. You'll be able to read these contributions in the relevant section. The contact details of the people leading each project are included, so you can get in touch with them directly if you would like further information. An example is below. This is a ‘living document’ – new work will be added on a regular basis, so do keep coming back to check! We hope you find it useful - please do share it! If you would like to make a contribution to the directory, we’d love to hear from you – please get in touch england.si-horizons@nhs.net.